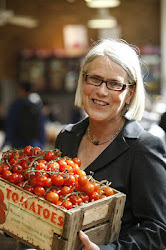 Darina Allen: Ballymaloe Garden Festival - Win a Day Pass! I would be trilled to bits to win a pass as I get my best ideas for our garden from visiting others. my husband gets weak at the thought of a new project but with a couple of acres around the house he has a bit to do yet !!! Indeed, Ballymaloe Garden Festival is really helpful step to promote greenery in our environment. Recently when i was on my Ireland trip in the last week of August i had been to county Kerry for spending a golf weekend break there. I spend my week long trip very comfortably in killarneyhotels there. After county Kerry suddenly we made plan to visit Cork for the gar4den festival and u have to say that was an refreshing experience after a week long trip.